Local author and paranormal investigator J. Nathan Couch has been leading ghost walks around downtown West Bend for a couple of years now. There have been a few strange happenings during these tours, including one incident while I attended inside Washington County’s Old Courthouse Museum. Recently, though, an apparition was actually witnessed and photographed in a window of the building while Tony & Jenny Brueski of Real Ghost Stories Online were waiting for the walk to begin. 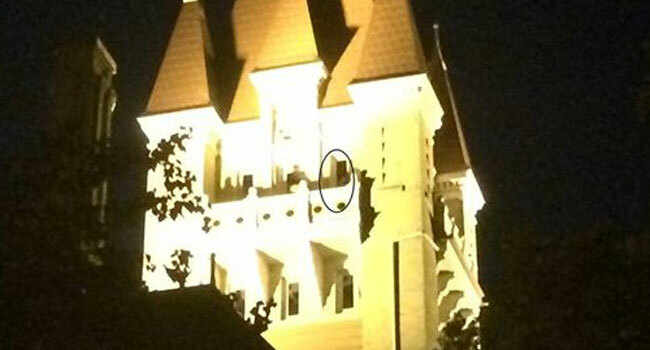 The video description says the ghost was watching them in the courtyard of the Old Courthouse, and physically moved its arm down and faded in and out of the light. Listen to the podcast below for the details! J. Nathan Couch is the author of Washington County Paranormal, a collection of stories and legends from the area, which includes a history of the haunting at the Old Courthouse, as well as Goatman: Flesh or Folklore?.